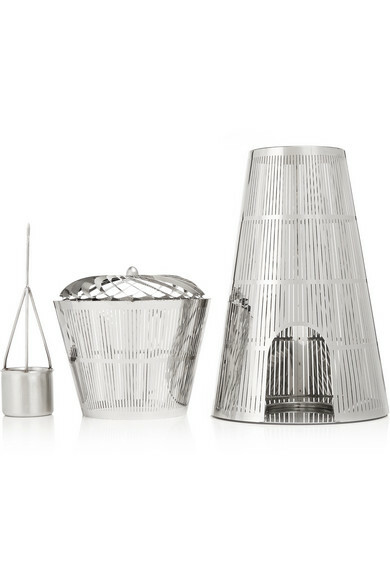 Tom Dixon's 'Orient Cage Diffuser' is designed to spread the label's signature fragrance to all parts of your home. 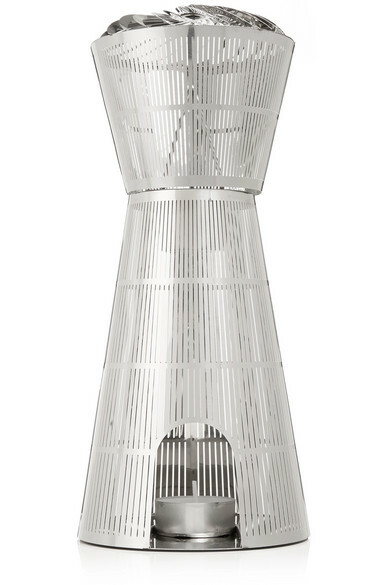 Made in England from finely etched stainless steel, the sculptural cage has a spinning turbine that will refract the light from the candle so beautifully. 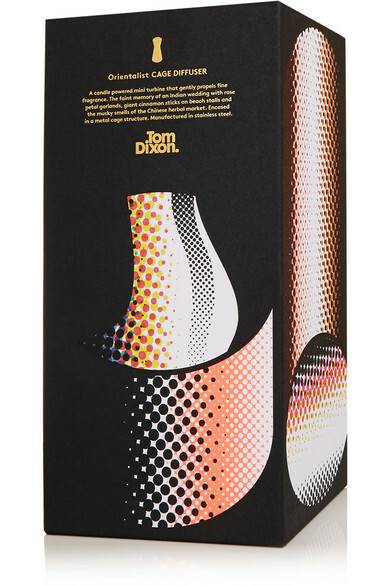 With base notes of Amber, Musk and Patchouli, the oil is decadent yet light, thanks to Violet top notes.